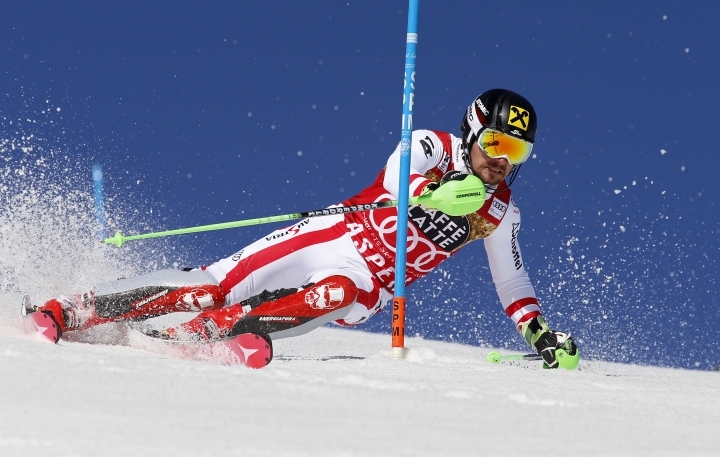 VIENNA — Six-time overall World Cup champion Marcel Hirscher has broken his left ankle and will be in a cast for six weeks. The Austrian ski federation says the 28-year-old Hirscher straddled a gate at the Moelltaler glacier during his first day on skis ahead of the season, which starts Oct. 29. He was flown by helicopter to a hospital in Salzburg but does not need surgery. Hirscher posted a video of the incident on his Facebook page and said "the next ski day has to wait a little bit." In March, Hirscher became the first male skier to win a sixth overall title. A month earlier, he won gold in both slalom and GS at the world championships in St. Moritz, Switzerland.